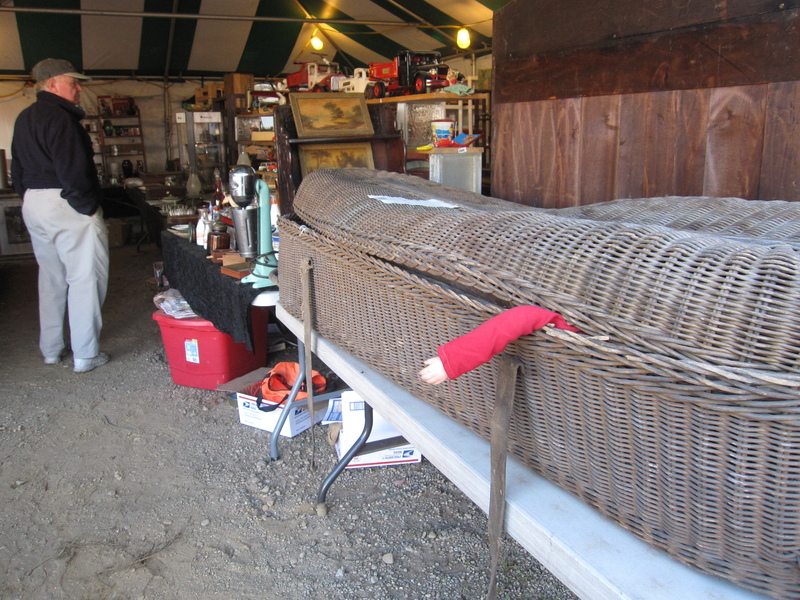 (L) A 1800’s ‘casket’ used in transporting the dearly departed to furneral homes. They advertised that this would make for a great hallow decoration. 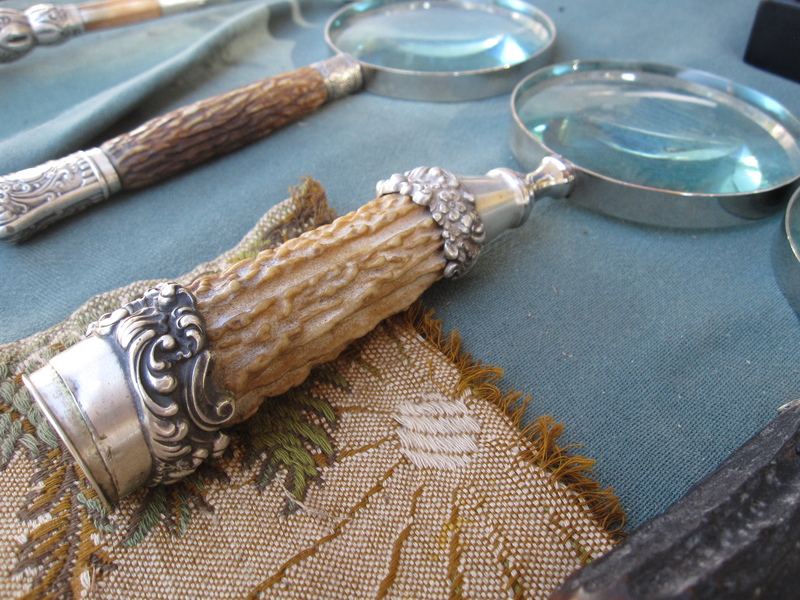 (R) Pretty amazing magnifying glasses that this man makes with handles from old knives. Check out Emily’s Flickr album to see pics of a corpse bride, a very flexible mannequin, and an old mustang.